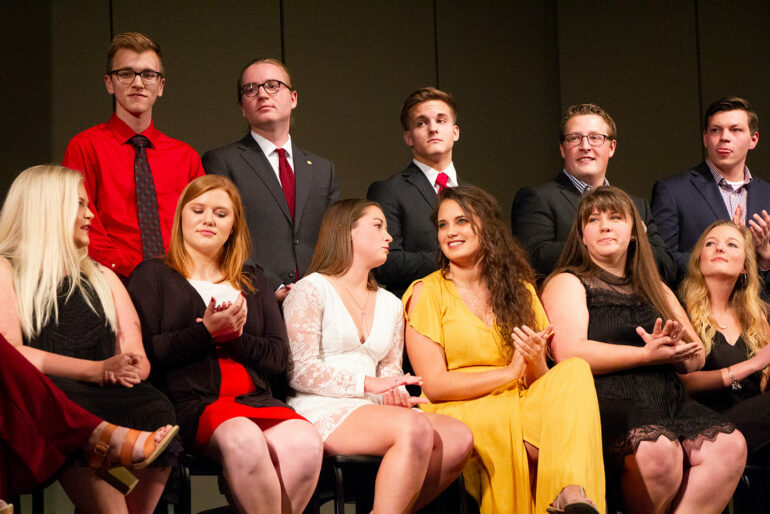 The 14 finalists for Dakota Days royalty were announced at the Yotes Got Talent event on Sunday evening. Also at the event, six student acts performed their musical talents to kick off the week of Dakota Days celebrations. Riley Ackerman, Josh Anderson, Marcus Ireland, Jacob Meyer, Ezra Voigt, Sawyer Stevens and Noah Thompson were announced as the final seven candidates for Mr. Dakota. Erica Carrels, Madisyn Waage, Hailey Freidel, Taylor Gustafson, Madison Nipe, Miranda Ebach and Michaela Goldammer were named the final seven Ms. Dakota candidates. These candidates will now go through the second round of voting, which will take place on the MyUSD portal from Monday at noon until Friday at 5 p.m. The Mr. and Ms. Dakota winners will be announced at halftime at the Dakota Days football game on Saturday. Kim Grieve, vice president of student services and dean of students, who spoke at the event, said these finalist candidates now represent USD. 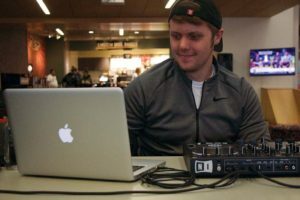 In addition, Eldon Warner was announced as the winner of the Yotes Got Talent competition, making this his third consecutive victory at the event. The High Howlers were awarded second place, and Savannah Kirsch won third. Olivia Edoff, senior criminal justice and psychology major, said she enjoyed being able to watch her fellow students perform. Katelyn Ryan, the coronation coordinator for the Dakota Days Executive Board, said the combination of the two events has helped increase participation.